November 2018: Performance of Liz Lane's Silver Rose at Trinity College Cambridge with Lydbrook Band and narrator Micha Lazarus, also the premiere of Liz's Stars are not too far with cornet soloist Philip Storer. Review by David John Roche. July 2018: The premiere of Surtaal Suite No. 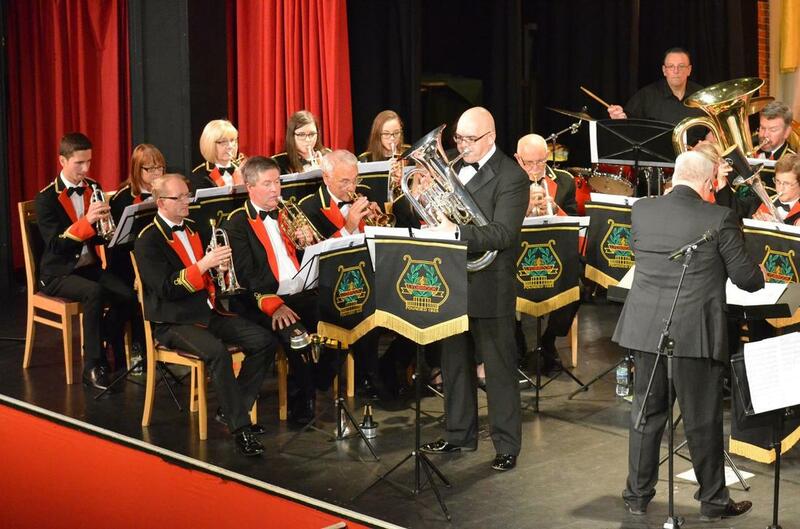 1 was conducted by Ian Holmes at Lydbrook Band's Proms in the Park on 30 June. 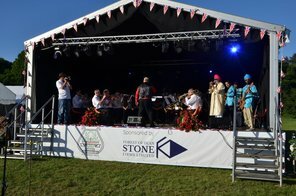 Written by Liz Lane and RSVP Bhangra, the ten minute work weaves East and West themes together in a high-energy combination of Bhangra and brass. June 2018: Listen to Ian conduct the final of Stravinsky’s mighty Firebird Suite in a magnificent arrangement by Ray Farr. 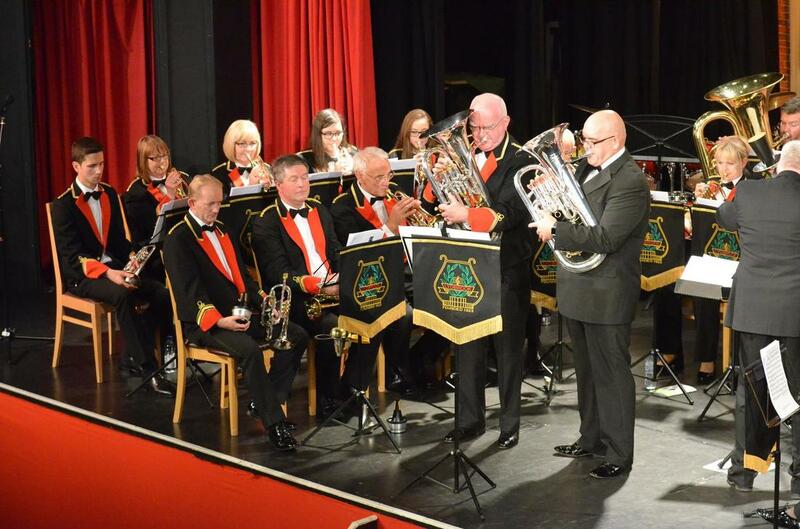 Recorded with Tongwynlais Temperance Band for S4C Band Cymru. ​Ian was delighted to be invited to conduct an ensemble of woodwind musicians at a workshop of Strauss Serenade for 13 Wind Instruments in Eb, Op. 7, Broadmead Baptist Church on Saturday 10 March. 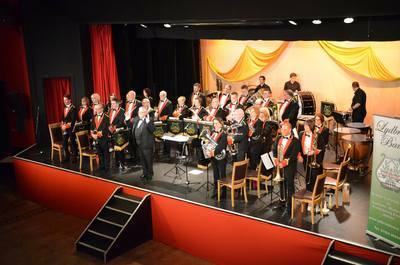 The successful Woodwind Orchestra Play Days, organised by Artistic Director Shea Lolin, have taken place annually since 2008. 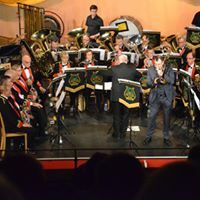 July 2018: Hear Ian conduct the finale from Stravinsky’s mighty Firebird Suite in a magnificent brass band arrangement by Howard Snell. 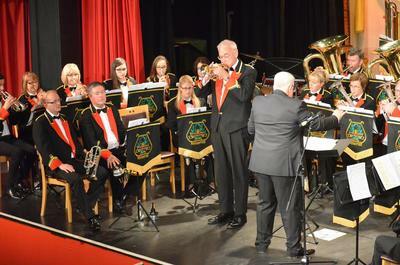 Recorded with Tongwynlais Band for S4C Band Cymru in 2017. 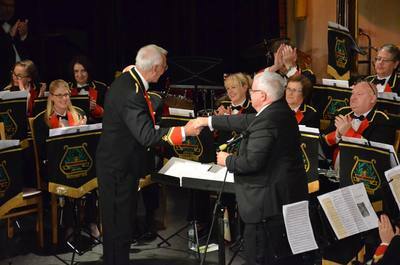 ​Ian and Tongwynlais Temperance Band were delighted to win the SEWBBA Autumn Contest on 25 November with a performance of Vinter's Variation on a Ninth. 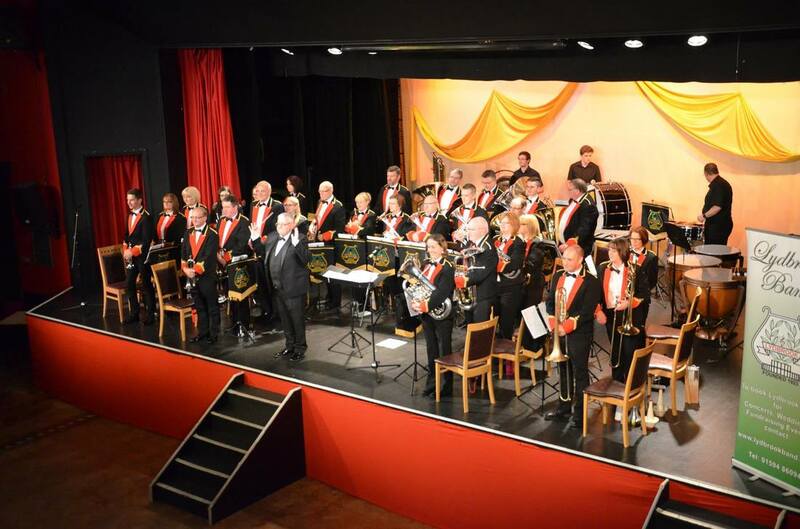 Praised by several listeners for the musical interpretation and directorship of this iconic brass band test piece, the band were also awarded all the sectional awards. 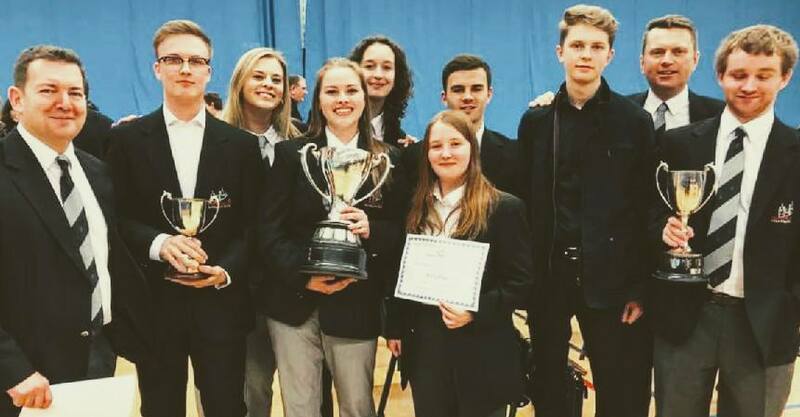 Tongwynalais Temperance Band joined 19 other of the top UK brass bands for a day of contesting at the National Brass Band Championships of Great Britain finals, a competition first established in its current form in 1900 and in the current format in 1945. An appreciative and enthusiastic audience greeted the band's performance on an unseasonably warm October day at this most magnificent of London landmarks. On 30 September, Ian led Lydbrook Band in a celebration concert for Robert Morgan MBE, Secretary of Lydbrook Band for over 40 years, who was celebrating 60 years of banding, both as a cornet player and as one of the UK's key protagonists for the brass band genre. The evening of diverse music and guests from the UK and Europe, including international soloists such as Brett Baker (trombone) and Glyn Williams (euphonium), took place at the Forest of Dean Theatre. Ian has been invited to be a tutor on the 2018 Woodwind Orchestra Playday in Bristol on Saturday 10 March 2018. 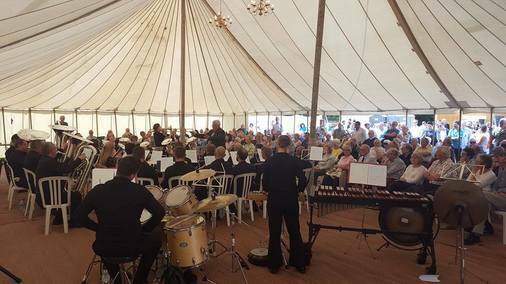 Ian's first engagement with Tongwynlais Temperance Band took place at Pershore Midsummer Brass on a lovely summer's day, with two events at Pershore Baptist Church and The Angel Hotel marquee - standing room only for a varied programme from Bach to Beatles. 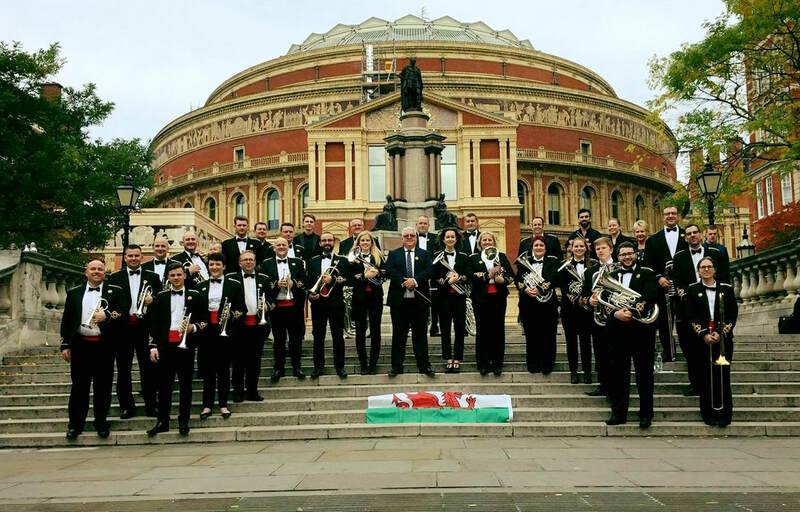 This month sees Ian appointed as the newly created role of Principal Conductor of Tongwynlais Temperance Band, currently ranked in the world's top 30 brass bands. 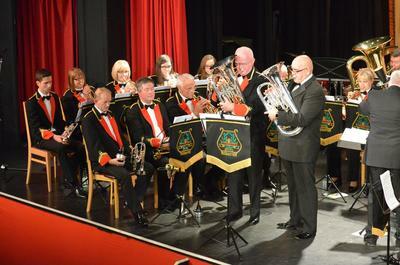 Founded in 1888, Tongwynlais Band, based at Llandaff, Cardiff, have enjoyed many national successes in recent decades and his appointment heralds a 'new era' in the band's history, with a remit to 'define their artistic voice' as they move towards their appearance at the National Brass Band Championship Finals at the Royal Albert Hall and beyond. The full press release can be found here. June 2017: Welcome to the brand new 'News' section of Ian's website - keeping up to date with events, concerts and projects.